Set in the Atlas Mountains and just a 4 hour drive from Marrakech this is a great place to introduce little adventurers to trekking. This Easter family adventure holiday combines three days walking with four days sightseeing and exploration of the Berber culture. Follow shepherds trails, pass mountain villages, walk through a narrow canyon and meander through walnut groves. Perfect for families with littlies happy to walk for up to 4 or 5 hours each day at a leisurely pace. Relax at the end of the trip in the comfort of a 4 star hotel with swimming pool in Marrakech. This family walking holiday is suitable for children aged 6 and over. Departs on the 30 March and 6 April and througout the year. Price is £445 per person and includes a professional local leader, airport transfers, all land transport, all accommodation (gite/hotel/mountain camp), meals as specified and camping equipment. via Morocco – Bougmez Valley Family Adventure | Morocco | KE Adventure. 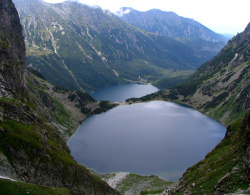 The Tatras, Poland’s only alpine-type mountains between Poland and Slovakia is a great destination for a family holiday Poland. With stunning views and pristine nature the family can enjoy local hiking trails, cable-car rides, see wooden churches and take in a local market selling handmade toys. In essence this is a walking holiday were older children can take on the unchallenging route or smaller ones can be carried in special carriers. Starting and finishing in Krakow, the itinerary takes in woodland and lakeside walks, a city trip, trekking mountain trails and a cable-railway ride to the top of a mountain. Accommodation is in fully equipped traditional-looking modern chalets with terraces offering fantastic views of sunsets and the landscape. The price of: from £295 for adults and £150 for children is based on a family of four (2 adults and 2 children) and does not include flights. No minimum age. Best tine to go is May-October an this holiday can be tailored to suit your needs. Poland family holiday, tailor made. Travel like a local. Guided family walking holidays. From £389 – 4 to 7 nights, children under 11 go free. Discounts for older children. Country house is a great base for the walks. Up to 3 guided walks each walking day. Guided Walking for Families at Conistonwater – HF Holidays. Hotel to hotel walking. Gentle walking, time to relax by the sea, great seafood and welcoming hotels. 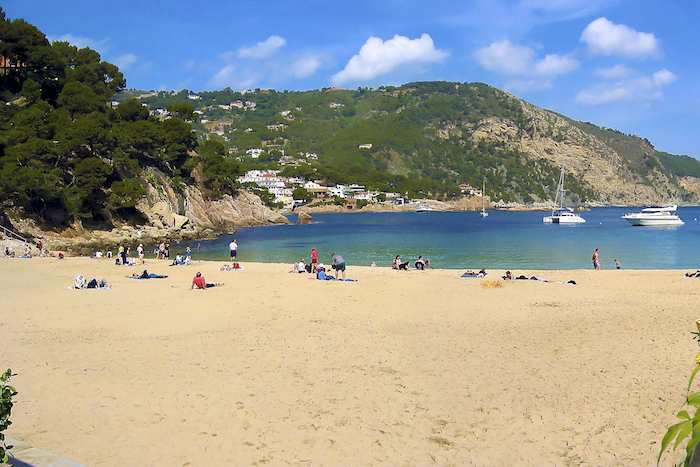 Best family holidays in Spain – The Coast of Catalonia | Inntravel.